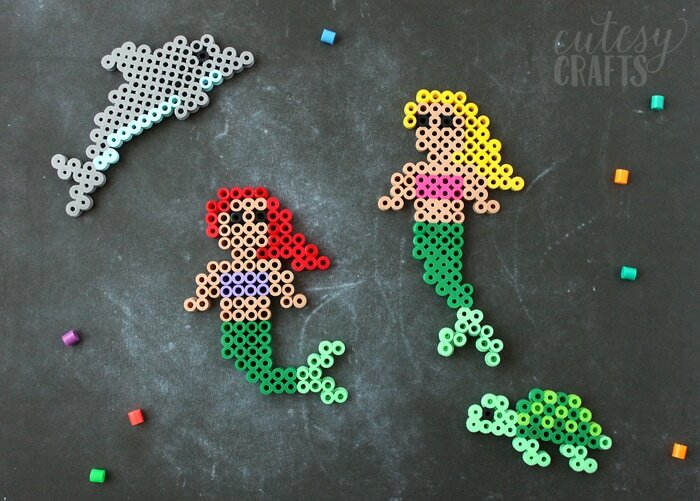 When I made these easy mermaid perler bead patterns, I knew I needed to make a dolphin perler bead pattern to go with them. 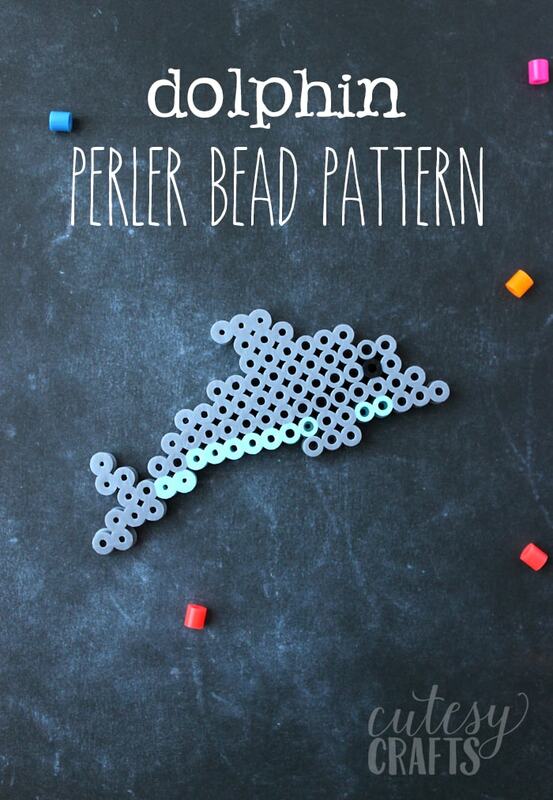 This dolphin perler bead pattern is really easy to follow and just requires a square pegboard. He’s made using gray, light blue, and black perler beads. Isn’t he cute?! perler beads – We have this big bucket of beads. 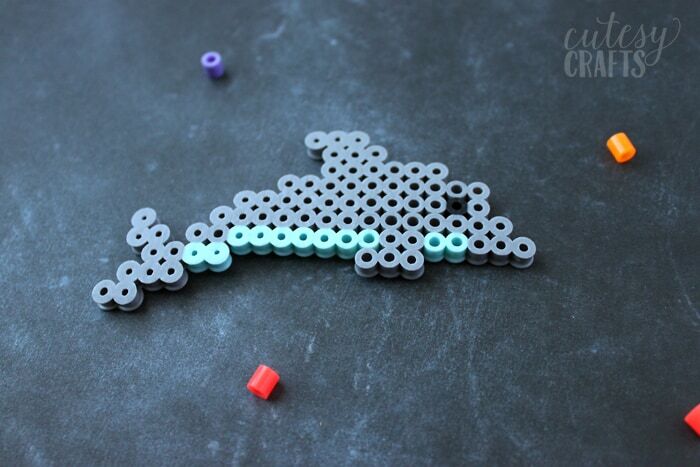 perler bead tray – You’ll need a large square like this one. When you download this dolphin perler bead pattern, you’ll also get the mermaid perler bead patterns, and the turtle perler bead pattern. All free! If you choose “actual size” in the print options, and use a clear pegboard, you should be able to put the pattern under the pegboard, and it will line up with the pegs. That makes it much easier to follow the pattern, especially for young children. Click here to download this free perler bead pattern. 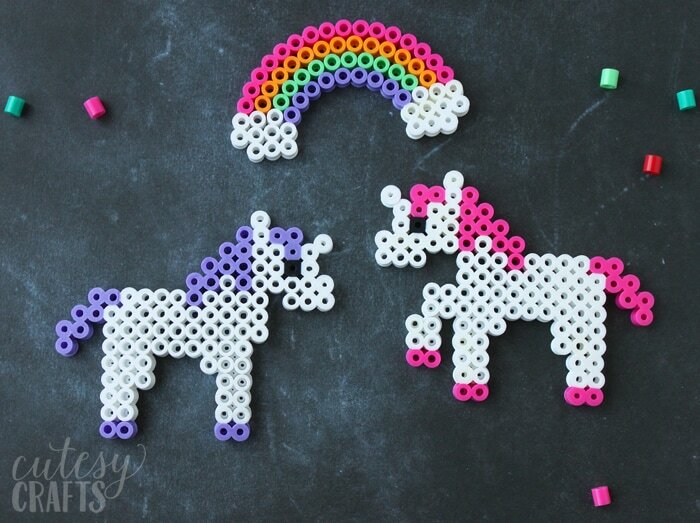 Also take a look at these unicorn perler bead patterns!